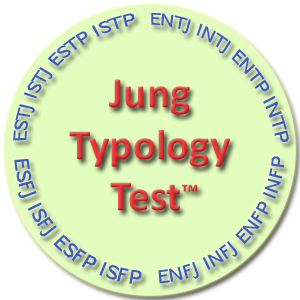 The different combinations of these four criteria define sixteen possible personality types. The formula for these types is denoted by the first letters of the combination, e.g. Once you know both partners’ (or prospective partners’) type formula and strengths of preferences, it is possible to calculate a compatibility index (MatchIndex) between the partners. The MatchIndex represents the potential for a successful and mutually satisfying long-term relationship. A high MatchIndex indicates the likelihood of a good, stable long-term relationship. If the partners' MatchIndex is low then, in the vast majority of cases, the relationship will be subject to conflict. One of the most important factors that determine the success of a small business is the right choice of line of business from personality fit standpoint, i.e. 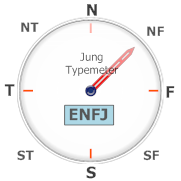 the extent to which it corresponds with your entrepreneur type. We distinguish 9 entrepreneur types, such as business leader, freelancer, analyst etc. Business size most suitable for you: small, medium, or large – in terms of number of employees, clients, volume of communications and operations. Find entrepreneur types for businesses of this scale, read their descriptions including strong and weak points and examples of favorable occupations these types are likely to succeed as entrepreneurs. Useful resources such as search of franchises. Whether intentionally or not, we attempt to emulate our role model’s behavior, regardless of how our own traits match up with theirs. It is easier when we have a role model whose important personality traits are similar to our own. Use the Role Model Quiz™ to find a role model who shares your personality traits. Some people want stability, order and safety in their life. Others have an unconscious thirst for a dynamic life, constant excitement, and risk-taking. The reason for many troubles in life and lost fortunes is the huge gap between a person’s inherent attitude toward risk and his or her actual lifestyle, occupation, objectives and the way he or she goes about achieving them. Knowing your own “risk profile” and risk propensity index is crucial because inconsistencies between your natural risk attitudes and your actual life lead to stress and emotional discomfort, and adversely affect your career and business, your private life, and your confidence in your abilities. The risk types that comprise your risk profile, and their brief description, including your strong and weak points. Complete descriptions of your risk types, including your strengths and weaknesses, ways to personal growth and strategies for success. Are you a person with a clear, distinct vision of the future? Can you easily foresee how things are going to develop? Or perhaps your strong feature is a sense of reality and you prefer to be concerned mostly with day-to-day matters. 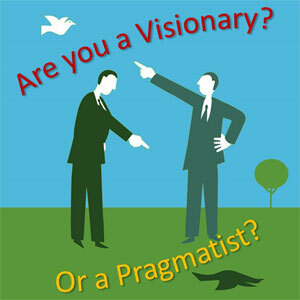 Discover whether you are a visionary or a pragmatist now! Do you actively struggle for your rights and defend your views and opinions, or do you tend to give up defending your rights and comply with the rules imposed on you? Discover how assertive you are and learn how to assert yourself with the Assertiveness Test. Do you adhere to high moral standards all the time or do you change your moral standards based on circumstances? Discover how moral you are with the Morals Test. Don't know whom to vote for in the election? Do you want a more objective assessment of presidential candidates Donald Trump and Hillary Clinton? The Political Performance Indicator™ will help you. Click Here to get all Humanmetrics tests (except Career Development Assessment) at the discounted price.